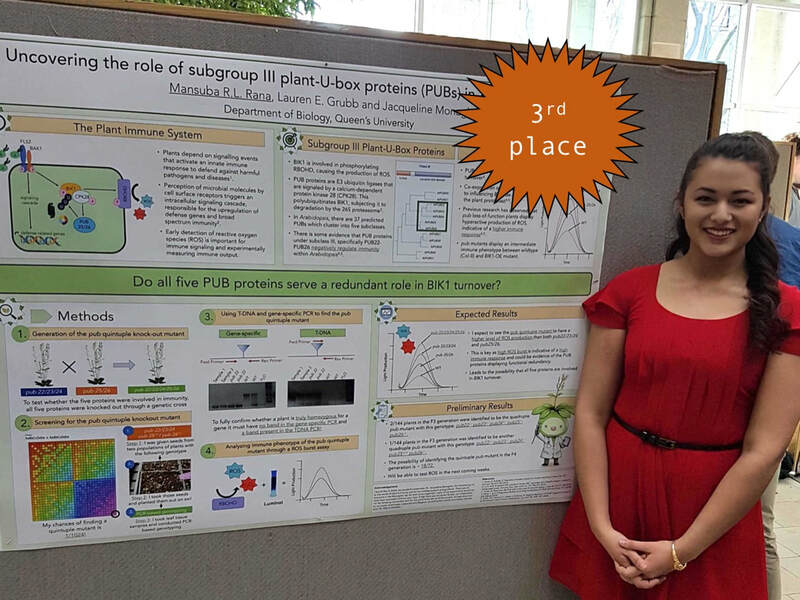 Congratulations to Suba, who won third place at last week's Biology Undergraduate Honours Thesis Poster Day. Suba has been working on generating a quintuple mutant in Arabidopsis whereby five related E3 ubiquitin ligases are knocked out. It's been a trying exercise in PCR genotyping and some serious patience! She is now very ​close to obtaining this mutant, which will allow us to test some hypotheses about the function of these enzymes in protein turnover. This award reflects her hard work - congrats Suba! This week our group spent two days away from the lab at Queen's University Biological Station. We worked in the main lodge by a wood-burning stove for hours, going over the direction of everyone's projects and thinking about 'the bigger picture'. Prior to the retreat, everyone shared summaries of their results, paper/thesis outlines, and a list of readings. 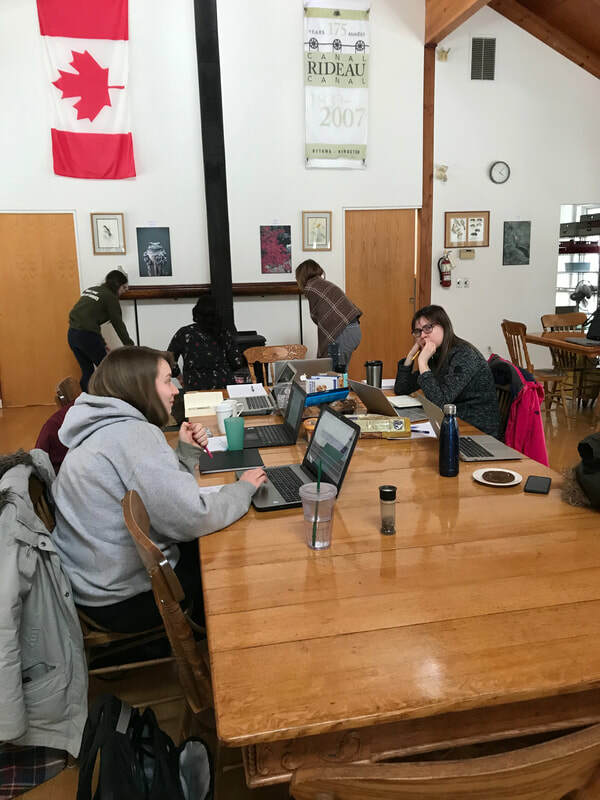 Although we have weekly lab meetings, this intensive and cozy retreat allowed our hive mind to thrive and everyone left eager to get back to their benches and test hypotheses. I am happy to share the good news that Melissa Bredow has been awarded a 2-year NSERC Postdoctoral Fellowship. These fellowships are highly competitive and awarded to Canada's most promising young scientists. ​I am incredibly proud of Melissa's achievement and look forward to continuing to work together. ​This month we welcome Heather Hennessy to our lab. Heather is in the final stretch of the Biotechnology Advanced Program at St Lawrence College and she joins us as a Placement Student for the next few months. Heather will help us with daily technical tasks and is looking forward to learning as much as she can. Activation of calcium signaling is a universal response to stress that allows cells to quickly respond to environmental cues. Fluctuations in cytosolic calcium are decoded in plants by calcium-sensing proteins such as calcium-dependent protein kinases (CDPKs). The perception of microbes results in an influx of calcium that activates numerous CDPKs that propagate immune signals required for resistance against disease-causing pathogens. In this review, now published online in Molecular Plant-Microbe Interactions, Melissa Bredow and I describe our current understanding of CDPK activation and regulation, and provide a comprehensive overview of CDPK-mediated immune signaling through interaction with various substrates. 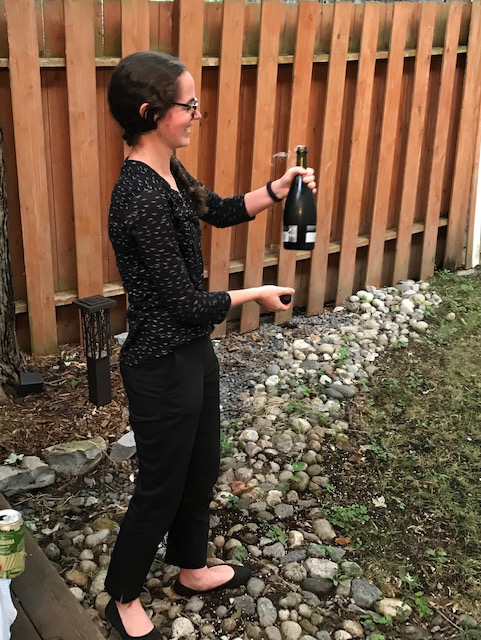 After a very successful thesis defence yesterday, Lauren is now the first MSc student to graduate from the Monaghan Lab. What a milestone! I am so proud of all of Lauren's many achievements and her now almost-complete thesis 'Analysis of E3 ligases and identification of ubiquitination sites regulating turnover of the plant immune signalling kinase BIK1'. Lauren joined the lab in May 2016 as a summer student with an NSERC Undergraduate Summer Research Award, prior to starting as a MSc student that September. Her graduate work was supported by an NSERC Canada Graduate Scholarship and Michael Smith Foreign Study Supplement in her first year and an Ontario Graduate Scholarship in her second year. Lauren graduates as co-author of two publications, with another in the pipeline. Her work on identifying in vivo BIK1 ubiquitination sites, which she did during a 4-month stay abroad under the guidance of Frank Menke at the Sainsbury Lab, has advanced our research into BIK1 turnover and set the groundwork for additional thesis projects. 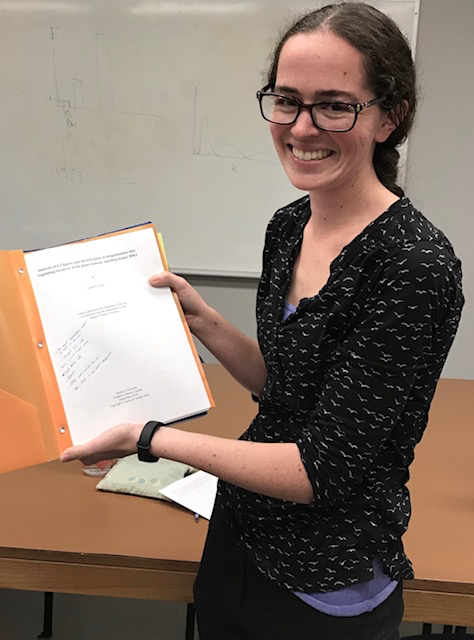 In addition to working hard at the bench, Lauren also excelled in her coursework and organized the Molecular, Cell & Integrative Biology seminar series for our department for the last 2 years. Lauren was accepted into the highly-competitive International PhD Rotation Programme at the John Innes Centre/Earlham Institute/Sainsbury Lab, in Norwich UK, and starts next week! Congratulations Lauren, and best wishes during your PhD. The lab won't be the same without you! ​Our short open-access paper ‘The jasmonate receptor COI1 is required for AtPep1-induced immune responses in Arabidopsis thaliana’ is now published in BMC Research Notes. This work stemmed from a curious observation made by first author Danalyn Holmes during her Honours thesis project. While performing other experiments that required use of the jasmonate receptor mutant coi1-16 as a control genotype, she was surprised to find that coi1-16 was specifically compromised in AtPep1-, but not flg22- or elf18-, triggered immune responses. Dependence of AtPep1-mediated signaling on jasmonate perception has been observed previously; her observations build on and corroborate these previous findings. 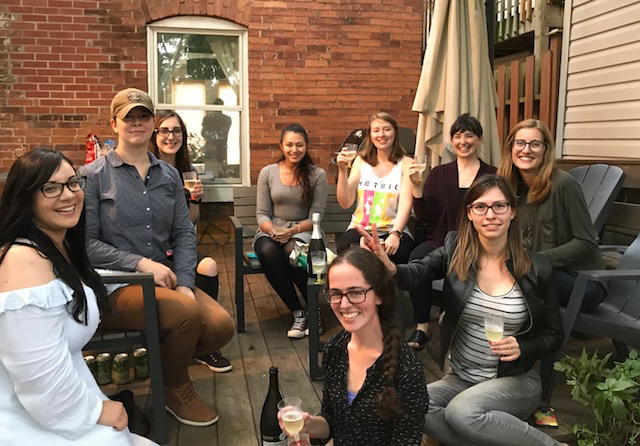 Danalyn had already moved to Germany to start her PhD when the article was accepted, so second author Lauren Grubb popped the champagne and we celebrated at the Grad Club via Skype. Congrats! 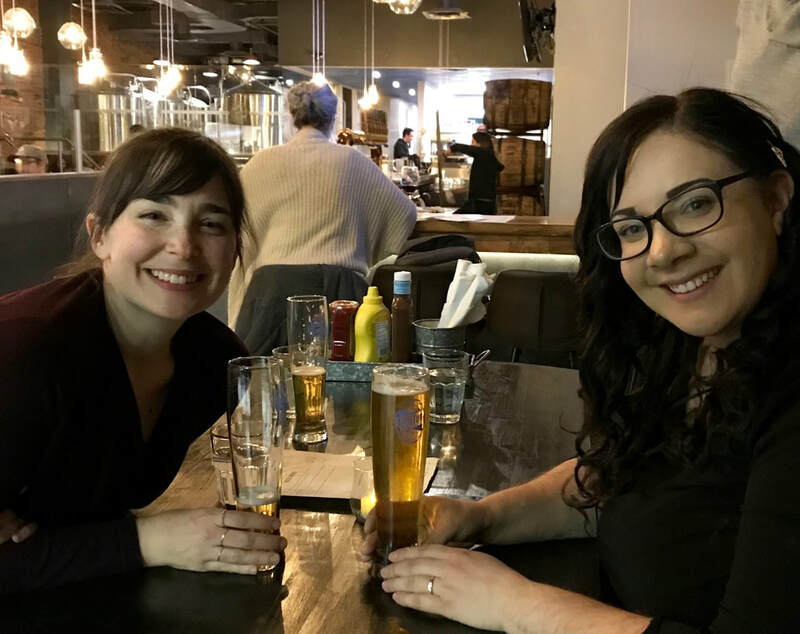 ​Lauren recently travelled to ‘La Belle Province’ for Plant Biology 2018, the joint ASPB/CSPB conference at the Palais de Congres right in the heart of Montreal. She presented her MSc work on the regulation of BIK1 proteosomal degradation, including some published work as well as unpublished proteomics data she worked on with Frank Menke at The Sainsbury Lab last year with the generous support of an NSERC Micheal Smith Foreign Study Supplement. It was a fantastic conference with more than 1600 people in attendance! The 5-day meeting consisted of major symposia ranging from Translational Science to Mechanisms of Genome Evolution, with an emphasis on new technology. There were also many excellent concurrent sessions, lightning talks and hundreds of posters to peruse. To top it all off, it was quintessentially Canadian, boasting both poutine and maple syrup snow candy for our American friends to try. 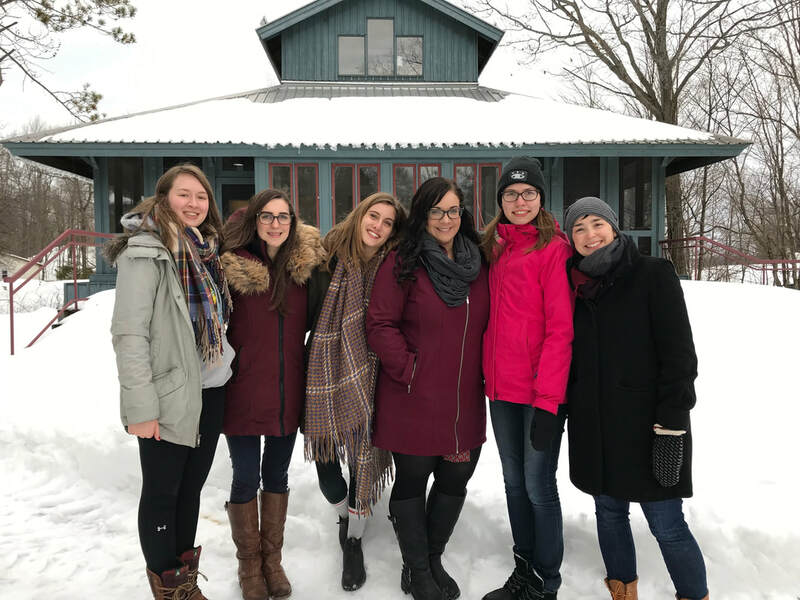 Lauren is grateful to have received a $75 CSPB George H. Duff Travel Bursary and a $200 Graduate Student Conference Travel Award from the Queen's Biology Department to support her travel fees - merci beaucoup! 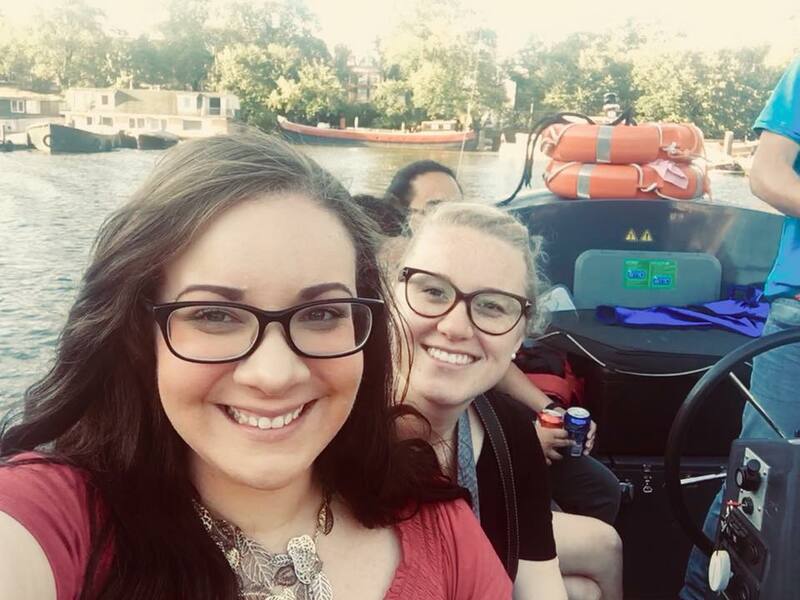 Melissa and Danalyn recently attended the annual IRTG International Plant Immunity Symposium at the Georg-August-Universität in Göttingen. Melissa gave a presentation about on-going work within the Monaghan Lab on Jacqueline's behalf, and Danalyn presented a poster on work she did during her time in our lab. IRTG 2171 PRoTECT is a collaborative program (that just received a $1.65M NSERC CREATE grant!) between the University of British Columbia and Georg-August-Universität, and this annual symposium allows members from groups within the program, among others, to highlight their work and showcase their efforts with their peers. There were many excellent posters and talks! 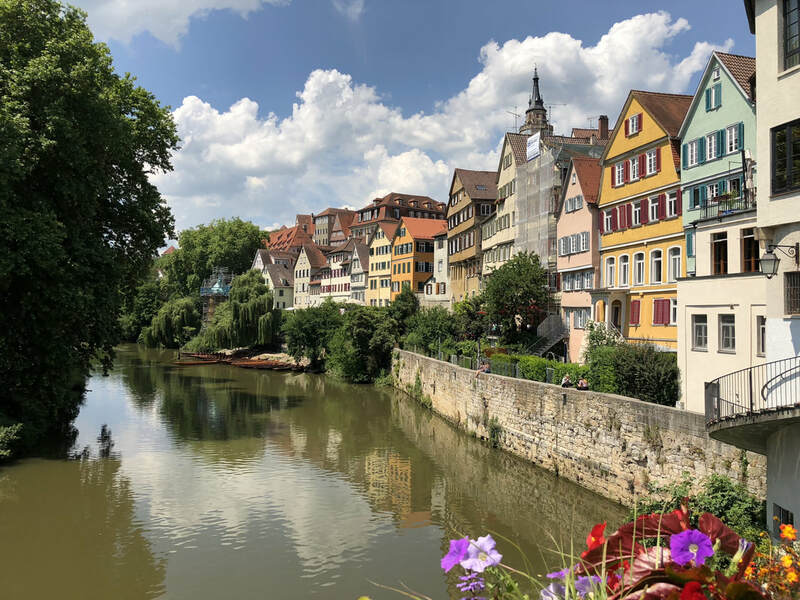 After spending the week in Göttingen, Melissa and Danalyn then travelled to Tübingen. 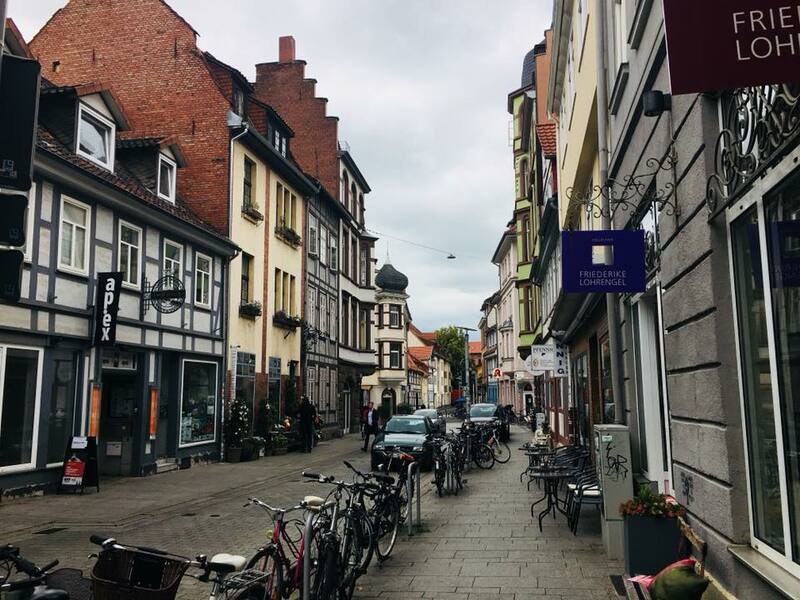 Here, Melissa gave a seminar at the Universität Tübingen Centre for Molecular Biology of Plants, where Danalyn has just started her PhD within the Lahaye Group.